A pebble in the European shoe. why the European Single Market will die a second time. Modified the 25 November 2018. All modifications are in italic. After the draft Brexit deal accepted in UK the 14 November 2018, the next day, with several ministers’ resignations, the deal was thrown into crisis. The different politic forces in presence in the UK have not the same vision about the next Brexit conditions and situations. The aims are so different those to find a solution, inside a consensus accepted by all, amounts to squaring the circle. In fact, all the parties are in the truth but this truth is protean and each proposition of one of them became unacceptable for the others. The most important for the all parties, is to be together behind the same objective and give an answer at this question: “How to do to find a consensus”. This UK « consensus » must be too accepted, at term, by all of the 27 parliaments the European Union. The proposed Brexit Deal found is a draft and it is impossible in a draft to bring the equivalent of a final accord and it is impossible in these conditions to produce a draft which can be accepted for the all parties. All differences between them are now exacerbated at the moment where they must look in the same direction. It is the gate open of conflicts and may be a war remake in the island of Ireland. Nobody wants to see a war in Europe and elsewhere. Every parties are in accordance with that and the acceptable solution is to recreate these conditions while respecting the vote to “Leave” and the other half people of UK which wants to “Remain” in Europe like Scotland and Northern Ireland, while respecting the European management to avoid borders between nations and a free taxation in the European Economic Environment. The solution must be not pitting one party against another. Monday 19 November 2018, this draft Brexit deal is provisionally accepted by the 27 Ministers for Foreign and European Affairs. It is great and good news but in my precedent article, I have already noticed the problem evocated above with the Irish Republic and its resolution. In fact I have voluntary avoid the Gibraltar position to concentrate the regards to the IR and UK and written that the Irish Republic is the only country which shares the same ground with the UK. Spain is also in this case but in front of a UK territory and not a country with certainly the same border problems between them. The last events and the DAGTVA solution are now transported between Spain and Gibraltar in the same sense. The next day (20 November 2018), the immediate reaction of Spain at the first European draft signing is to change and signify that Spain refuse to sign this draft document. To quote the Romanie Newspaper : « Spain did not formally have the power to oppose the approval of an agreement on Sunday. « This is a political question, not a legal one: it would be a real problem for the 27 that a big country like Spain is dissociating Sunday from the approval of the divorce agreement » . Effectively, it is not mandatory for Spain to sign this draft and final Brexit deal voted at the qualified majority. It is probably deliberately that Spain have takes this negative decision, even if the Spanish Government claims sovereignty over Gibraltar, it is a facade, it is preferable for Spain to remain in the actual structure, because if the actual management is conserved between the two countries, a bilateral FTA will be signed between them to obtain the same advantages than the Irish Republic. The 24 November 2018, this bilateral accord has been found and Madrid also esteems that it has received sufficient writted assurances from the British authorities, that future London agreements with the EU would not automatically include Gibraltar. Spain will be the second country which can propose, in a shared ground, for all others countries in Europe to commerce with the UK without tax or preferential conditions. 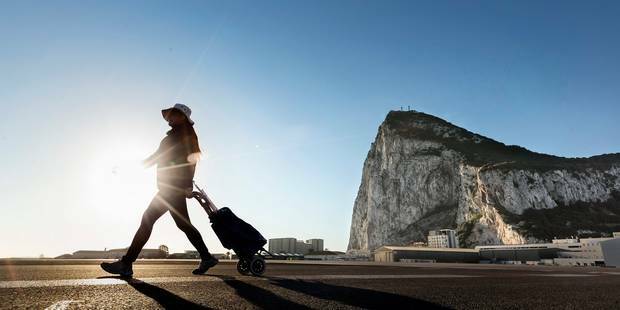 We know, to commerce, Gibraltar is already in an exceptional geographic situation and the rest of a shared ground by an European country with UK become now rare! The fiscal and economic jackpot only reserved to the Irish Republic is now shared with Spain. With its first decision for not signing the actual and probably the future final accord (in 2020 or later), it is to obtain a next bilateral agreement and Spain have killed, for the second time, the European Single Market, already “dead” with the Irish situation. It is in this first article about the Brexit and the future of VAT and why the European Single Market is already “dead” for the first time. *(Avalara : You can read about the split payment model, which arrives quickly from USA by the marketplace providers to collect sale taxes, details in this article by Gail Cole – 30 October 2018). Partager la publication "After the draft Brexit deal"